The past few months have been the most stressful of my life. We sold our house and moved into a new one. I had biopsy on my breast. Several work projects had deadlines all at once. My editor for the novel coming out this year requested some hefty revisions. And my mother almost died from an infection that took her down within a matter of days. There’s stress, and then there’s extreme stress. The kind that makes you wonder if you’ll make it without losing your sanity, your job, or both. The kind that has you questioning your ability to be a decent parent as you struggle just to get through a day. If that’s what you’re going through, I’m not here to offer platitudes about slowing down, taking time for you, or savoring precious moments. Slowing down wasn’t an option when I had to clear out of my old house, write scripts for events that will take place regardless of my personal crises, and get to Kansas to see my mother in the ICU. Instead, here are some practical ideas that might help you grasp a shred of control—or at least feel OK about not savoring moments that aren’t precious at all because they’re packed with stress that feels like it could bury you alive. My first tip is more of a reassurance. #1. Everything you worry about probably won’t happen at once. When a ton of crap happens, it opens a floodgate of worry about everything else that could go wrong. But the odds say it’s virtually impossible for all of those worries to come to pass. Plus, it’s likely any additional crap will be things you never thought to imagine. So try to focus on what is going on, and waste as little energy on possible on what could be coming. Depression and anxiety love stress. If you’re prone to them, you might be tempted to shut down when you’re overwhelmed. I picture myself walking through a tunnel, working my way to the other side. 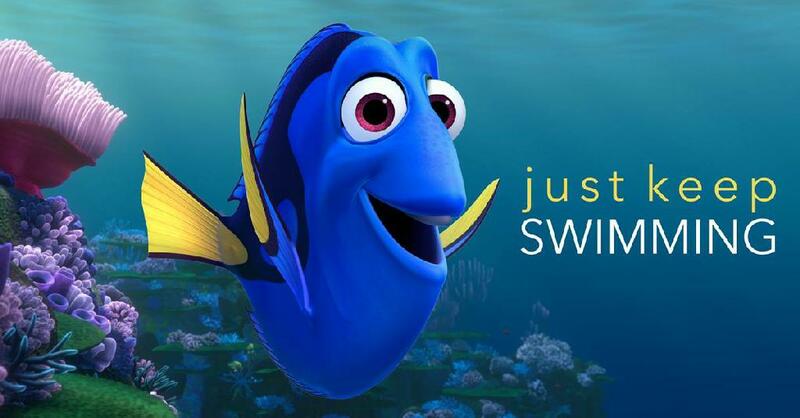 Or I think about everybody’s favorite fish Dory and tell myself to “Just Keep Swimming.” Do whatever you can to keep moving ahead. If you need medication or other professional help, don’t be afraid to seek it. #3. Do bits here and there, trusting they will add up. I managed to meet all my deadlines (and do some damned good work) by stacking little pieces on top of each other, laying a foundation that made it easier to finish in time without the extra stress of last-minute cramming. #4. Prioritize, then try not to feel guilty. Ask yourself what MUST get done, and what can slide. I didn’t blog for a while. I put decorating the new house on hold. I focused on meeting my kids’ daily needs, supporting my dad, and taking care of my most pressing work commitments. If you’re experiencing extreme stress, then you may not have time for a night out with friends. But do allow space for others to help and show they care. Reach out for support, even if it’s just via text or Facebook. And if you find some moments for fun, then jump on them. It’s amazing what a fresh perspective can do. #6. Protect your health—as much as you can. You’re not much good to anyone sick, so try to be kind to your body. If you’re tempted to go without meals, nibble on apple slices. Take short walks to clear your head and get some exercise. I found myself bawling my eyes out by the community pool on Memorial Day. Did I look crazy? Maybe. Do I care? Nope. I needed to release some tension. Crying helped. #7. Know that all this will eventually be in the rear-view. Having reached a certain age, I’ve learned this about time: It goes on. I’m sitting here now writing a blog post about something that seemed never-ending while I was in the middle of it. You will come out on the other side, too. And most likely, you will be OK.
#8. Be ready for the hangover. Life is calmer now. My mom is recovering, I met my work deadlines, my novel continues its journey toward publication, and I’ve turned my attention toward house painting. But my brain feels like it’s still trying to shake off that stress-feuled adrenaline rush, just looking for something new to worry about. When you’ve spent a few months on high alert, it’s not easy to come down. Now is a good time to slow the pace, take time for you, and savor any precious moments that come your way. You never know when you’ll find yourself under extreme stress again, so try to enjoy those normal-stress days, and make the most of moments when you’re able to fully relax. 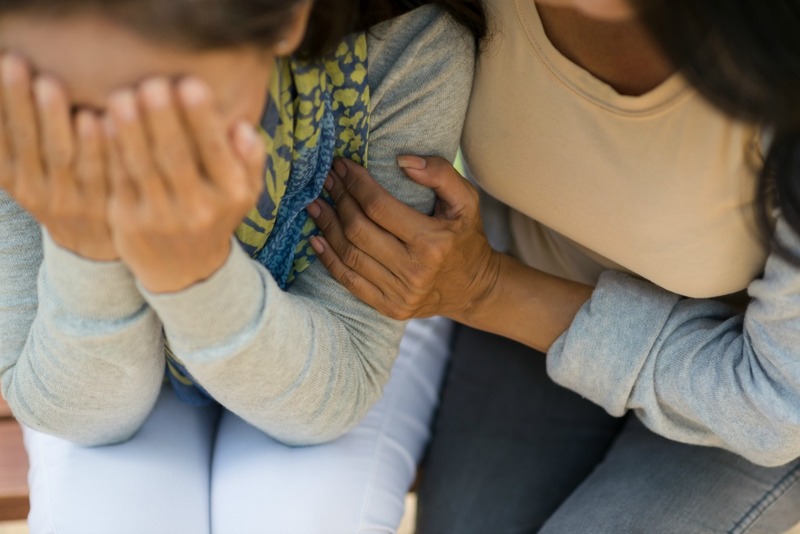 Do you have some practical ideas for dealing with extreme stress? I’d love it if you’d share them. I like swimming for getting out of stress, but not always have time for it. Usually I go to my garden and do some work like mowing grass or pruning my roses, after I watch some movie and take beer or two. Tomorrow I am good as new. I loved this article. That is the reality- that sometimes extreme stress isn’t solved the same way as normal stress. I do the big things since though can’t avoid them and then keeping my lifestyle as sane as possible helps me. For example, I try and do one load in the dishwasher even though there’s piles of dishes. I try and do one thing and eventually the little things will add up. Ultimately you need to take care of yourself first and foremost. My advice would be to find an activity (whether it’s running, yoga etc) that helps you cope with stress. Then you can focus on keep going ahead in a way that doesn’t make you sick! BTW, I can’t imagine the stress you’ve had but been able to manage it. I applaud you.